Shaw Electric’s commitment to good service and hard work started when Frank L. Shaw, Sr. founded the company in 1933. Initially, Frank did primarily small service electrical work—such as installing new lighting and switches and repairing electrical appliances. As the demand grew for his customer-friendly service, he enlisted family and friends to help. 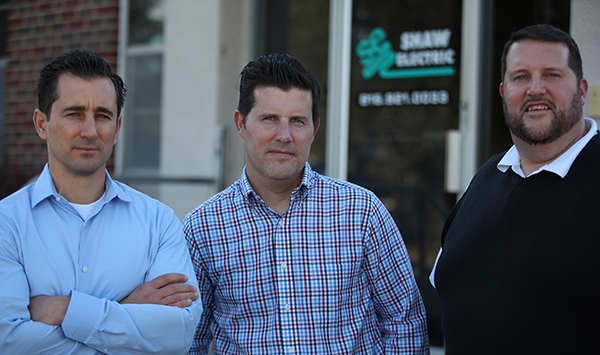 Today, Shaw Electric is in its fourth generation of ownership and employs over 175 people—including electrical engineers, low voltage specialists, technicians, project managers, and estimators and has worked in over 25 states. Despite this dramatic growth: Shaw Electric’s commitment to hard work and good service at a fair market price remains the same. Ryan joined Shaw Electric as In-House Counsel in 2005 and took charge of all legal and risk management matters for the Company.